Let’s suggest 30 games for a prospective SNES Classic Edition! In November, Nintendo will release the NES Classic Edition, a mini retro console that includes 30 classic NES games for $60. 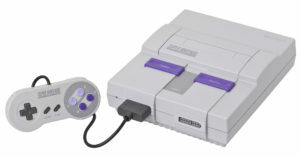 Naturally, many gamers expect Nintendo will eventually release a similar product that will include a selection of classic Super NES games. But why wait for Nintendo to announce an official product? Let’s come up with our own list of 30 SNES games for the assumed SNES Classic Edition! EZK and I will share our lists on this weekend’s episode of Molehill Mountain (streams live right here on RandomTower, Saturday night at 6p PST!). In the meantime, share your suggested list of 30 SNES games in the comments below. I decided to stick with my personal favorites, which probably aren’t the most representative of the system. Oh well! Assuming that choosing from any third party publishers isn’t a problem, here is my list of 30 games that I’d like to see and feel that represent the console well. I actually have little to no experience with a Super Nintendo, as I grew up with a Genesis. All that would really matter to me is if it had Super Metroid. I feel like I’m also forgetting a bunch of games as well… Also I didn’t get to include as many multiplayer titles as I would had hoped. I left Mario Kart and F-Zero off the list since I don’t quite thing they aged that well. I suppose Pink Panther and Inspector Gadget could be added to the list, but I wouldn’t class them as being up there with classic status. Though I did throw Super Widget in there, which was just to throw a interesting, yet not that great, of a game in to the mix. Hm… Maybe.. Cool World or Out to Lunch…. What about super double dragon and final fight and of course tmnt Turtles in time those are great games back in the day’s we should take out Mario RPG I don’t care about that which we have too many Mario games already. Several of you guys have listed Final Fantasy 5. I would assume that a console like this will focus on a US game listing, in much the same way as the NES Classic has done. If that is the case, then FF5 would be off the table. If they were to pick a Final Fantasy game, I would suspect that Square would only let them do Final Fantasy 4 (2 in US SNES numbering). Why? Because Square is run by jerks and morons. I would much prefer to have 6 (3 in US SNES numbering). But Square does not like that game for some reason, even though it is in my opinion the best of all the FF games. This is also why I suspect that the only other Square RPG to hit the list would be Super Mario RPG. That means that Secret of Mana and Chrono Trigger would be off the list despite the fact that they are arguably the Top 2 RPGs on the SNES. I can think of a reason why they wouldn’t use the original US titles. They haven’t show any love for that naming convention they did. They also know that FF6 sells more than the title FF3. As for FF5, it was part of the super Famicom lineup. And while it didn’t have a US release on the SNES, it did have a anthology release on the PS1. So there is source for it. But the thing is, they wouldn’t let Nintendo have it, not even FF4. Hell, this includes Chrono Trigger as well. The reason? They “lost” the source materials. They would rather promote the newer “enhanced” versions than let people play a version with the original graphics. They would tell Nintendo to use those versions instead of letting them have access to the originals. And since Nintendo’s goal would be to use SNES classics instead of remakes, well you can see what would happen. So you’re partially right about them being jerks. But not because they hate the games, but because they have turned into George Lucas. I wasn’t suggesting that they use the US titles, I was just saying that FF5 would be off the table because it was never released in the US on the SNES. It didn’t come to the US until the Anthology collection on the PS1. Considering the console is just a bunch of ROMs running in a custom emulator, they could just pull the necessary ROMs from a cartridge like the rest of the world has done a million times. It isn’t copyright infringement when Square does it. The whole “They lost” comment is their actual excuse when people asked why the rereleases of FFV and FFVI on iOS (and then PC) didn’t use the original sprites. Of course, when I went to look for that article where I read it I can’t find it so.. maybe a fevered dream. Super Metroid. Even if nothing else, Super Metroid. My only complaint is that if you’re going to pick Super Mario World, you might as well pick the version of Mario All-Stars that includes it. I believe the article was the top 11 individual games, not the top 11 cartridges. But I don’t think that Nintendo would include All Stars on a theoretical SNES Classic console. The reason being that they would consider it 4 games and since the NES Classic already has 1-3, there would be no reason to put them on this one. But All Stars also included the real Super Mario Brothers 2, in addition to the reskinned Doki Doki Panic that we got as SMB2. Should be noted that there isn’t a “fake” SMB2. There is only a “First”. Yes, the SMB2 the west got was a reskin of another game. However, keep in mind that the Japanese market, and Nintendo embraced the second SMB2 as being legit. The reason why the west didn’t get the original SMB2 wasn’t because they thought it was too hard for “the westerners”. It was because it WAS too hard for everyone, including for Japanese players. And instead of risking a flop by releasing a game that we would basically call today as a level pack, that had a high difficulty curve, they instead felt it would be best to reskin a game that had similar mechanics. After the success of SMB2 in the west, they rereleased it as Super Mario USA in Japan, and Japanese gamers loved it. And now the enemies of SMB2 are now a part of the Mario Rogue Gallery. We would not have had Shyguys in Paper Mario. We would not have Ninji in Super Mario World. Bob-ombs in Mario 64. Hoopsters in SMB3. Peach would not float in Super Smash Bros. The list goes on. Basically, my point is just that there is no single version that is real or fake. They are both real and canon. There is only a first and a second. Fine, replace “real” with “original” if it makes you feel better. The point is, it is in All Stars, and it is not on the NES Classic Edition (and never had a western release other than in All Stars). So All Stars would bring something to the table other than just SMW and the 3 SMBs that are already on the NES CE.